Throughout the ADAPT project, participants have generously shared artefacts and mementos from their careers in television production. 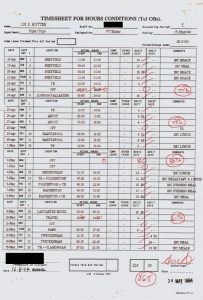 Visit this section of the site to view scans of original documents shared with the project. These objects – which include original job descriptions and staff contracts – tell rich stories about the history of television production. 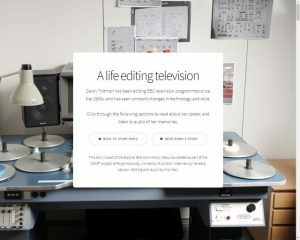 Click here to explore television history objects and artefacts. ‘Fixed rig’ production is an innovation of the 2010s. It combines traditional outside broadcast techniques with digital camera and recording technologies. Fixed rig production combines elements of traditional outside broadcast with fully digital tapeless production. Fixed rigs work best in institutions: a family, a hospital, a police station. 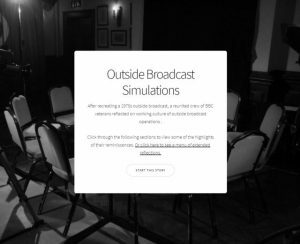 A fixed rig of cameras was used to film this project’s outside broadcast recreation. Click here to read about the history of fixed rig television production and learn how these techniques were used by this project. 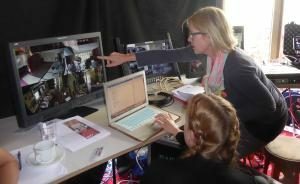 Dawn Trotman has been editing BBC television programmes since the 1980s, and has seen constant changes in technology and style. Click here to read about her career and listen to audio clips of her interview. Dubbing mixing, the art of combining multiple distinct audio sources to create the soundtrack of a television programme, is a profession that has seen enormous technological and practical change yet, much of this development remains completely unknown beyond the walls of the dubbing theatre. 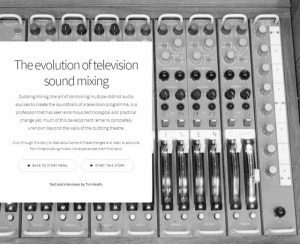 Click here to explore the changes to the tasks and technologies of television sound mixing. 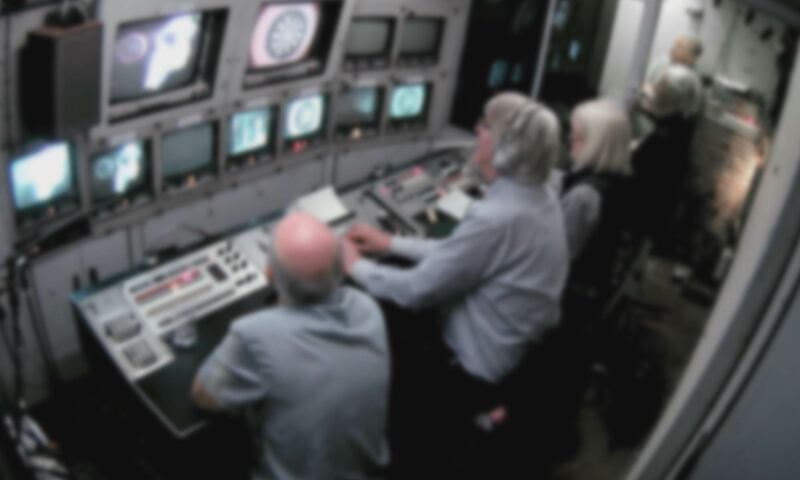 After recreating a 1970s outside broadcast, a reunited crew of BBC veterans reflected on working culture of outside broadcast operations. Click here to watch video clips from their conversation about their working lives. Cameraman Brian Tufano was a constant innovator at the BBC from the late 1950s onwards. Here he meets the various 16mm film cameras he worked with, each providing improved mobility over previous models. His aim was to make observational documentaries, where the camera could enter into the action rather than observe it from a tripod. Click here to read more about Brian Tufano’s use of camera technology.